Born: 23 February 1882, Cape Town, South Africa. Died: 9 October 1958, Pretoria, South Africa. Louis Celliers de Villiers, mining engineer and geologist, was the son of the genealogist Christoffel Coetzee de Villiers and his wife Sara Susanna Celliers. He moved to Pretoria with his mother after the death of his father in 1887. When his mother also died in 1892 he was adopted by his uncle, Jan Celliers (father of Izak B. Celliers*). However, Jan Celliers also died two years later, after which he was brought up by another uncle, Japie Celliers. He attended schools in Pretoria and Wellington, and in 1897 accompanied his uncle to the United Kingdom, to complete his schooling in Edinburgh. Afterwards he proceeded to the Koenigliche Bergakademie (Royal School of Mines) in Freiberg, Sachsen (Germany), where he qualified as mining surveyor at the end of 1904 and as mining engineer a year later. He continued his studies at the Albert-Ludwigs-Universitaet in Freiburg im Breisgau, where, in November 1907, he received the degree Doctor of Philosophy (Phil. D.) in geology. His thesis, Geologische untersuchungen in der umgebung von Eptingen und Laufelfingen, described his detailed study of the stratigraphy and complex geological structure of an area just south-east of Basel, in northern Switzerland. Around the same time his cousin and friend, Izak B. Celliers studied the geology of an adjacent area in Switzerland. De Villiers returned to South Africa early in 1908 and for some time worked as a sampler at the Block B gold mine in Langlaagte, Johannesburg. In August 1909 he was appointed lecturer in geology at the Transvaal University College in Pretoria (later the University of Pretoria), succeeding his cousin Izak Celliers. 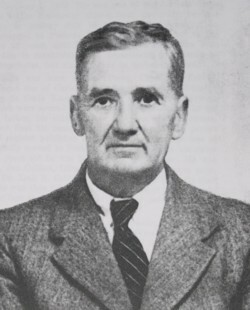 At the beginning of 1920 he became the college's first professor of geology and head of the Department of Geology, a position he held until his retirement in February 1947. Until 1924 he did all the teaching and practical instruction himself. Initially geology was offered as an ancillary subject only, and the first student majoring in the subject graduated only in 1921. The first MSc degree in geology was completed in 1927. In 1936 the department was split into the divisions of Palaeontology-Stratigrahy, for which De Villiers was mainly responsible, and Mineralogy-Petrography (under Professor D.L. Scholtz). De Villiers regarded field work as important and regularly took his students on excursions. He was particularly skilled in the identification of minerals in the field. Over the years he built up a very fine collection of South African crystals, minerals, rocks and fossils, and the department's geological museum was named after him in 1955. In 1927 he spent a year of study leave in Germany to further his knowledge of crystallography at the University of Heidelberg. However, he did little research and published no scientific papers. He had a life-long interest in sport and did much to promote rugby and other sports at the university, with the results that the university's new sports grounds were named after him in 1958. De Villiers became a member of the Geological Society of South Africa in 1908 and remained a member to his death. He joined the South African Association for the Advancement of Science in 1915. After his retirement from the University of Pretoria he became curator of the museum of the Geological Survey until his death. In June 1915 he married Agnis T.W.J.A.vK.M. Scholz, with whom he had one son, Louis S. de Villiers, who became a professor of chemical pathology at the University of Pretoria. National Archives Repository (TAB), Source MHG, Vol. 0, Ref. 7326/58: death notice, Louis Celliers de Villiers. National Automated Archival Information Retrieval System (NAAIRS). http://www.national.archives.gov.za/naairs.htm Documents relating to De Villiers, Louis Celliers / De Villiers, L.C. Proceedings of the Geological Society of South Africa, 1915, Vol. 18, and 1920, Vol. 23: Lists of members.